Craft projects combine lots of things children already love: being creative, having fun and getting messy! Why not work with children to create some wonderful crafts that can be used for fundraising? Children love to create things, and if you explain to them that their crafts will help a worthy cause, they'll be even more excited to get started. Before involving children in fundraising, it's important to consider their needs as well as those of your charity. Take time to explain the fundraising cause to each child. The more they understand about the people they're helping, the more enthusiastic they'll be. Creating and selling handmade crafts is a fantastic way to raise money for your cause. Choose an age-appropriate craft that your child will love to make, and then sell them on to your friends, family and co-workers. You can even sell crafts at markets or bazaars. Greeting cards - Creating personalised greeting cards is a low-cost way to raise money for your charity. Your child's greeting cards can be simple or elaborate - all they really need is some paper, markers or crayons, and glitter to get started! Bookmarks - Like greeting cards, bookmarks are easy to make and everybody loves them. Consider suggesting themed bookmarks such as zodiac signs, seasons or hobbies. Jewellery - Handmade jewellery is a style that never goes out of fashion. 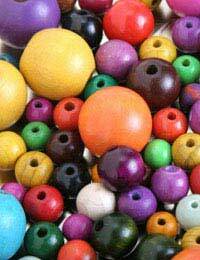 All your child needs to start making jewellery are some beads, metal string or ribbon, and their creativity. If you have some extra household items laying around, children can also make larger crafts like pen holders and decorated plant pots. These are great, personalised items that people will be proud to buy in support of your cause. Your children can also get involved making fundraising crafts for certain holidays. For example, decorated masks are a big hit at Halloween, and tree ornaments and personalised stockings will sell great around Christmastime. Whatever type of craft the children decide to create, see if they can make it specific to the fundraising cause. For example, if you're selling crafts to benefit an animal charity, make the crafts animal-themed! As your children create their crafts, they'll be reminded of the cause they're helping. Your charity and donors will no doubt appreciate this personal touch too. Don't forget to ask the children for their own craft ideas too! Giving them an important job like choosing the crafts they create will be a great self-esteem boost. Even if you already have a great fundraising idea, you can put your children's creativity to work for your cause. You don't just need to sell crafts; maybe your kids can help by creating a fundraising poster, or designing signs to put up around your neighbourhood? Regardless of the specific crafts involved, your child's art will be a big help towards your fundraising efforts. Children's crafts are a great way to foster a child's creativity whilst also encouraging the positive values of charity and giving. Not only will your charity benefit from the crafts your children create, but so will your child!